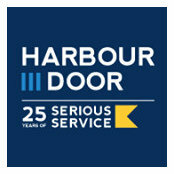 Welcome to Harbour Door Services Harbour Door Services is your #1 source for Residential Garage Doors and Commercial Overhead Garage Doors, Electric Operators, Gate Systems and a wide variety of related products. 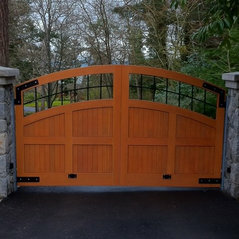 Whether your project involves New Construction, Renovation or Remodeling, you can rely on our Customer Service professionals to look after all your service and maintenance needs. 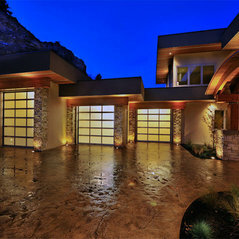 Kommenterade: Garage Dimensions?We were only involved in installing the garage doors in this project so I don't have the dimensions available for you. Kommenterade: Plans and sizeThe only information I have is the size of the garage doors which are 8' x 7'. Hope that is helpful. Kommenterade: How do these garage doors open?They open overhead on track but are designed to look as though they swing out. 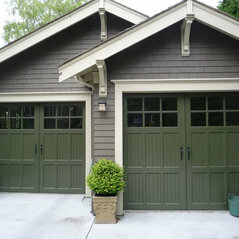 Kommenterade: Paint colorsThese wood doors came to us primed and were delivered to the homeowner for finishing. As we were not involved in that process unfortunately I am unable to tell you the colour. Kommenterade: I love the siding! 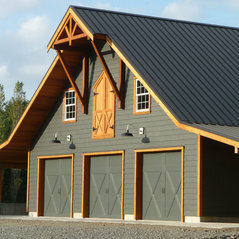 Do you know the color?I'm sorry but as we only did the garage doors we aren't able to provide you with the siding information.